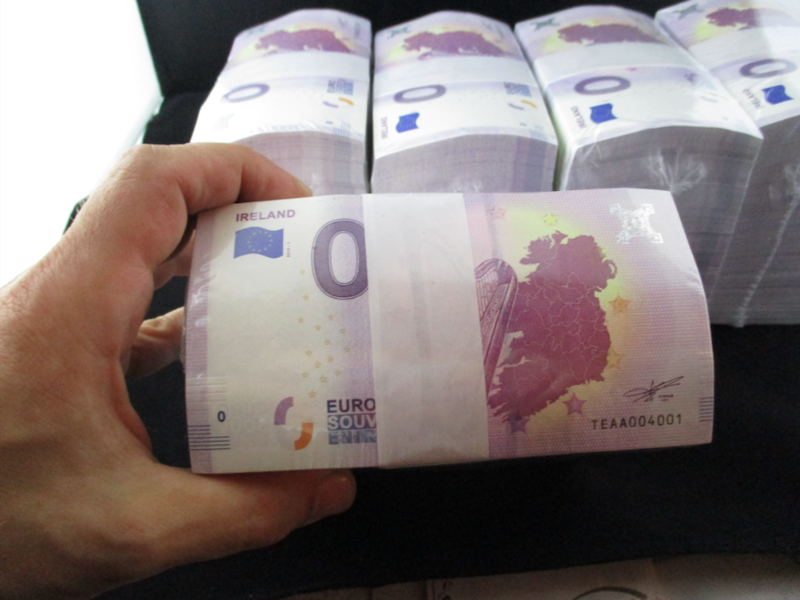 The Ireland 0 euro banknotes have arrived! Ireland's first 0 euro banknote are available as of Friday, August 10th. All pre-orders have been shipped by now, and they went as far as France, Spain, Germany and Slovenia. 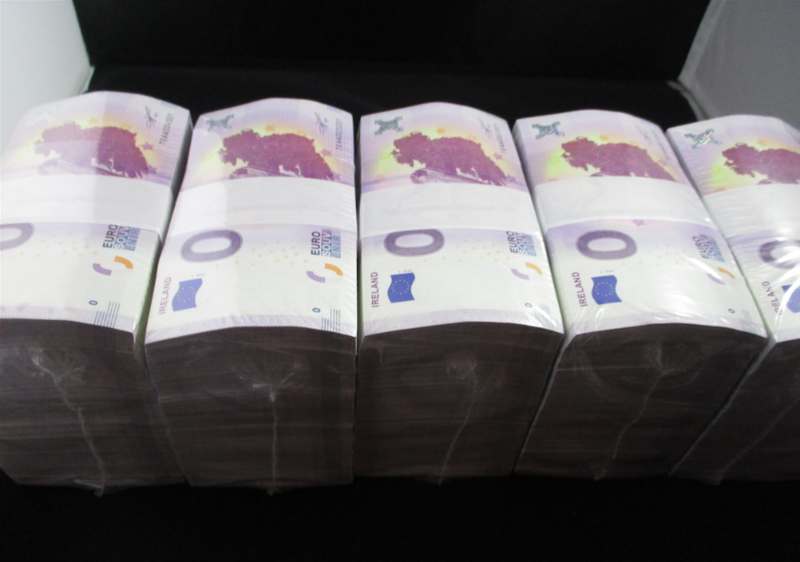 The quality of the print is very good and the banknotes look great. And here is another picture, only one of the blocks is still in the plastic foil and the others are unpacked. Although they are banknotes, you cannot buy anything for them. 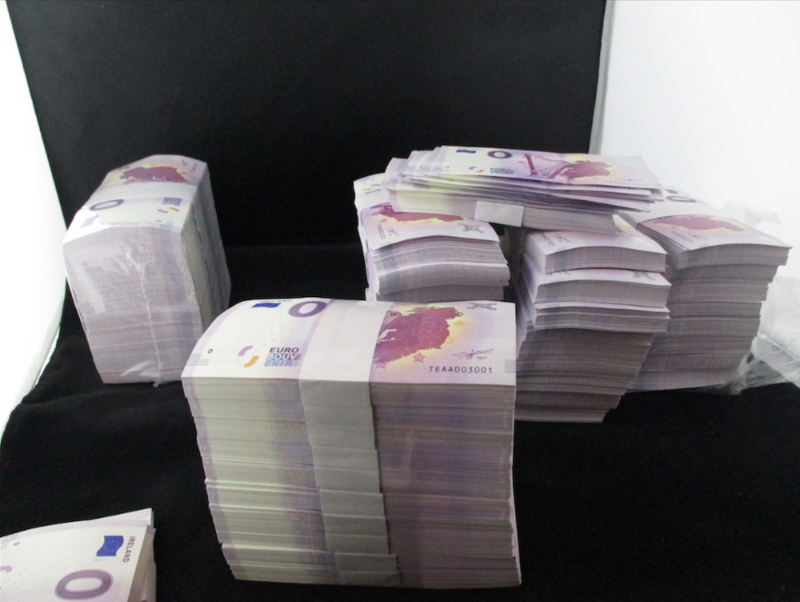 But in several countries are already big communities of collectors of the Euro Souvenir banknotes, and in some online shops you can see that some of the banknotes are being traded for 60 EUR or 80 EUR per note and more.